Taipei is one of the top travel destinations in Asia. With her famous night markets, a plethora of shopping districts and natural gems, it is not hard to see why tourists keep coming back to Taipei for more! However, are you finding yourself returning to the usual tourist hotspots? Here are some new up-and-coming and trendy things to do, eat and see on your next trip to Taipei in 2019! From newly awarded Michelin Bib Gourmand street food and chic boutique hotels that blur the lines between art and accommodation, make this your ultimate guide to Taipei this 2019! ENJOY ALL-IN FARES TO TAIWAN FR. S$350! Book your flights to Taipei with your HSBC Credit Card to enjoy fare promos on China Airlines! Fly to Taiwan from S$350, China, Japan and Korea from S$510, North America from S$950* with China Airlines’ ALL-IN exclusive promotions! What’s more, charge to your HSBC Credit Card and redeem for attractive travel luggage. *Valid from 9 April to 30 April 2019. BOOK YOUR FLIGHTS TO TAIPEI NOW! Check out other amazing travel perks you can enjoy with your HSBC Credit Card here. 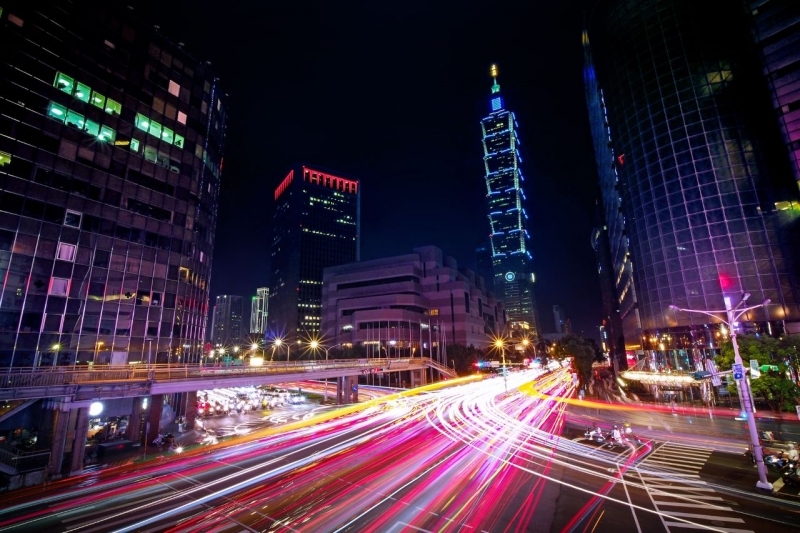 Dubbed the Times Square of Taipei, Xinyi district is constantly in a flurry of activity. Other than being home to the iconic Taipei 101 tower, Xinyi houses some of Taipei’s best shopping malls! From international to local brands, you can find almost anything in Xinyi. 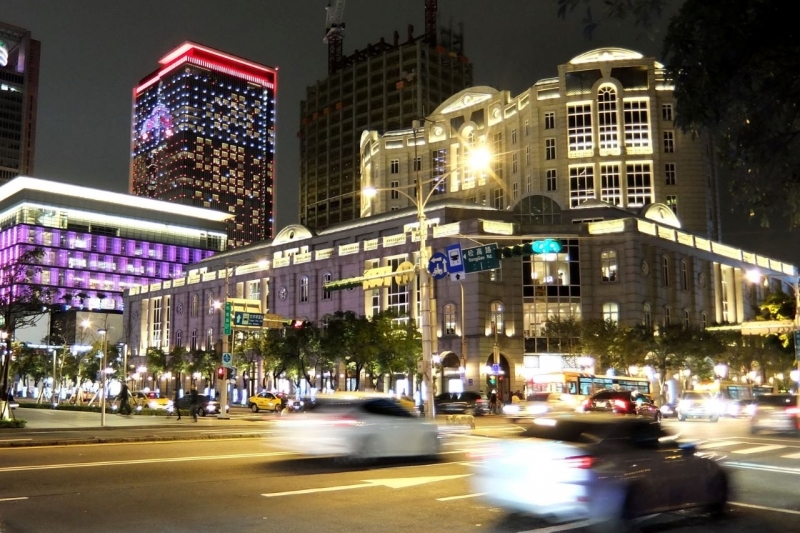 Some of the prime shopping hotspots include Shin Kong Mitsukoshi Xinyi Place, Taipei World Trade Center and Neo 19. 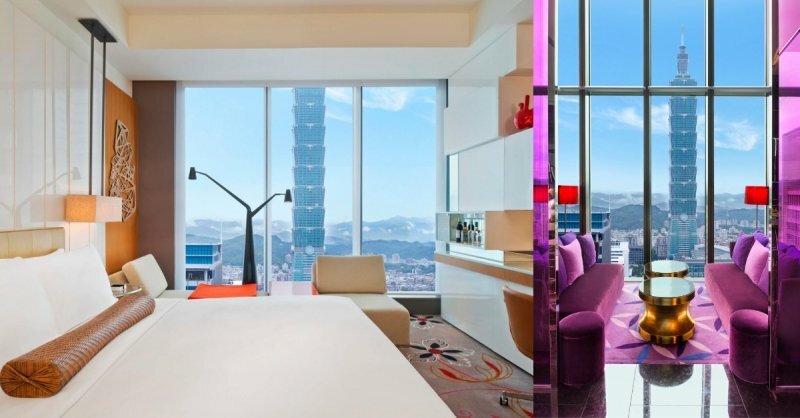 If your aching post-shopping spree legs are yearning for some rest, check into some of the best hotels in Xinyi district such as the W Taipei, eslite hotel and Taipei 101 SPARKLE Hotel. Offering comfortable beds and stunning views of the city, you’ll feel rejuvenated in no time. These hotels are also only a stone’s throw away from Taipei 101 and its surrounding malls. Over the years, Dongqu or East district has earned a reputation for being a bustling shopping destination for the chic and sophisticated. You can find renowned global brands such as Zara, Cartier and Chanel lining the main street of Zhongxiao East Road up to Civic Boulevard. Large department stores, such as Pacific SOGO and Mingyao Department store, are also available to supplement your shopping needs. For the bargain hunters, venture into the smaller alleys of Dongqu and be rewarded by affordable finds in quaint boutiques dotted around the area. There is a wide array of hotels for you to choose from in Dongqu district. Conveniently located along Zhongxiao East Road, San Want Hotel Taipei or Green World Hotels ZhongXiao are mere minutes away from Zhongxiao Dunhua Station MRT Station. However, if you want to be a little further away from the bustling streets, Hotel Proverbs Taipei is an excellent choice. This sophisticated hotel offers you a quieter atmosphere to relax after a full day of shopping. ENJOY 10% OFF YOUR HOTEL BOOKINGS ON EXPEDIA! Do any of these hotels tickle you fancy? Enjoy 10% off your hotel bookings in Taipei* when you book through Expedia with your HSBC Credit Card. *Booking period: 1 January 2019 to 31 December 2019. Travel period: 1 January 2019 to 31 March 2020. Applicable for selected hotels only. Find out more here. 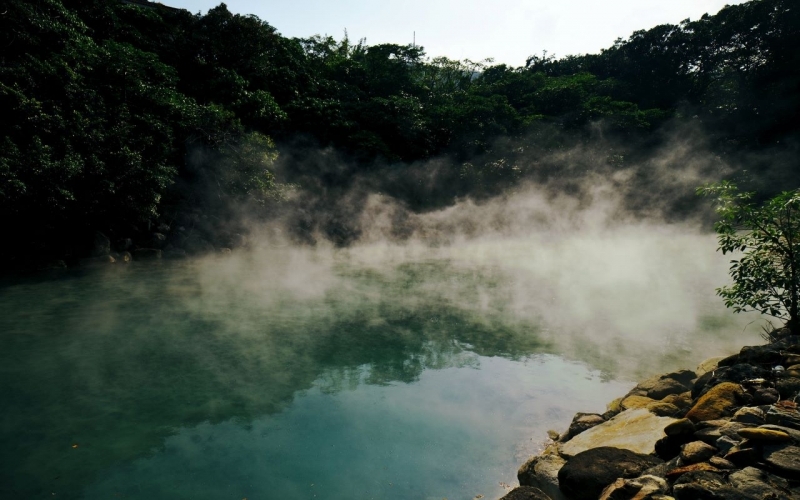 If you’re a history buff, you definitely would want to do more than just soak in the world-famous Beitou Hot Springs Park in Beitou district. 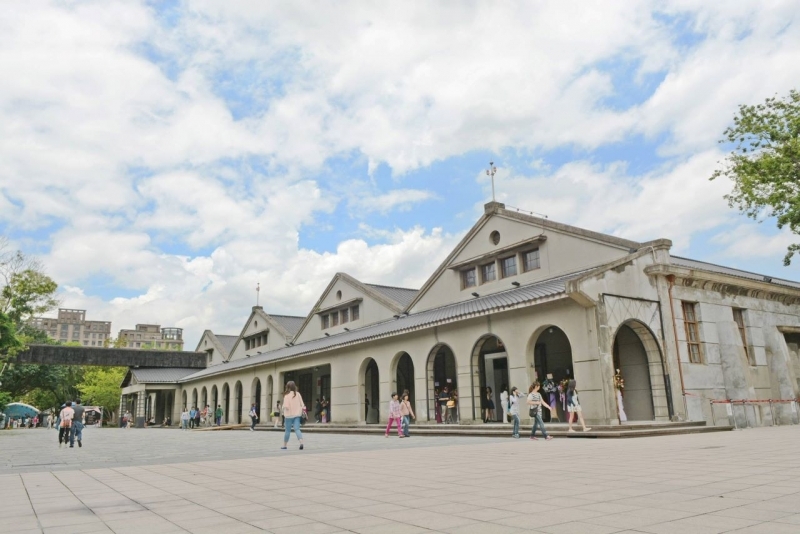 You can learn about these hot springs and fascinating history of Beitou District at the Beitou Hot Spring Museum and Beitou Museum. Exploring Taipei with your kids? Head to the interactive National Taiwan Science Education Center to pick up an interesting fact or two about biology and other applied sciences. If a traditional hot spring resort is what you’re after, Beitou Hot Spring Resort is your best best. 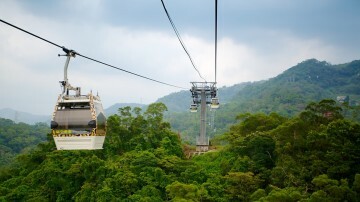 It is also located a 5-minute walk away from Beitou Hot Springs Museum and Beitou Hot Springs Park. 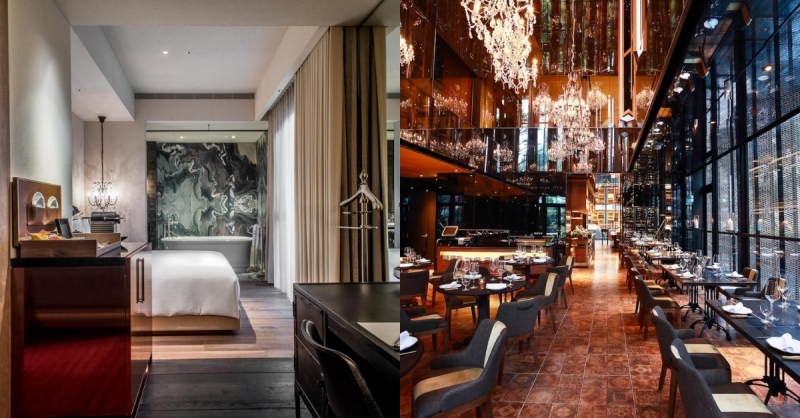 For more contemporary and modern hotel options however, check out Hotel Royal Beitou and The Gaia Hotel Taipei. 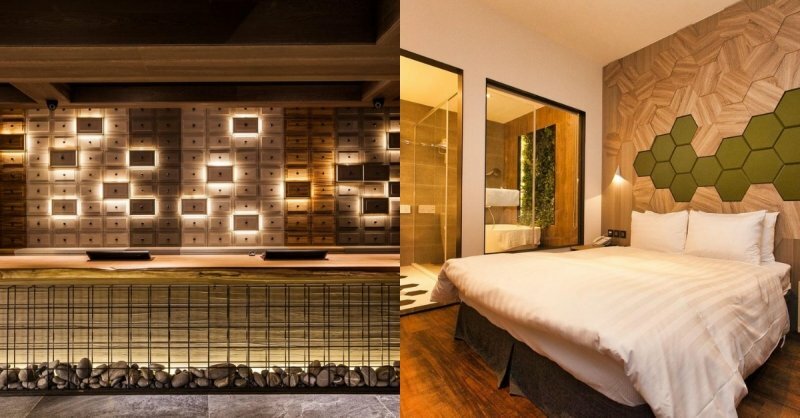 These hotels might be a little further from the Beitou Hot Springs Park, but they have their own hot springs within its premises. 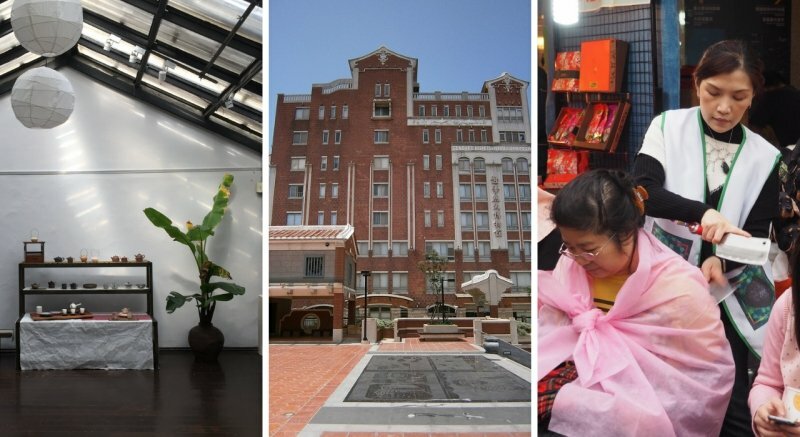 Taipei’s Zhongzheng district is every history buff’s dream! Brimming with plenty of museums and historical sites, you can almost feel Taipei’s rich history lingering in the air. 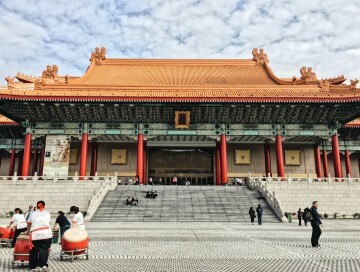 When in Zhongzheng, you cannot miss the majestic National Chiang Kai-shek Memorial Hall, a famous historic landmark built in memory of Generalissimo Chiang Kai-shek. Another historical site is the magnificent Presidential Office Building built during the period of Japanese rule in Taiwan. Other fun museums you can visit in this district include the Museum of Contemporary Art Taipei, the Postal Museum and the Suho Memorial Paper Museum! BEAT THE ATTRACTION QUEUES WITH KKDAY! 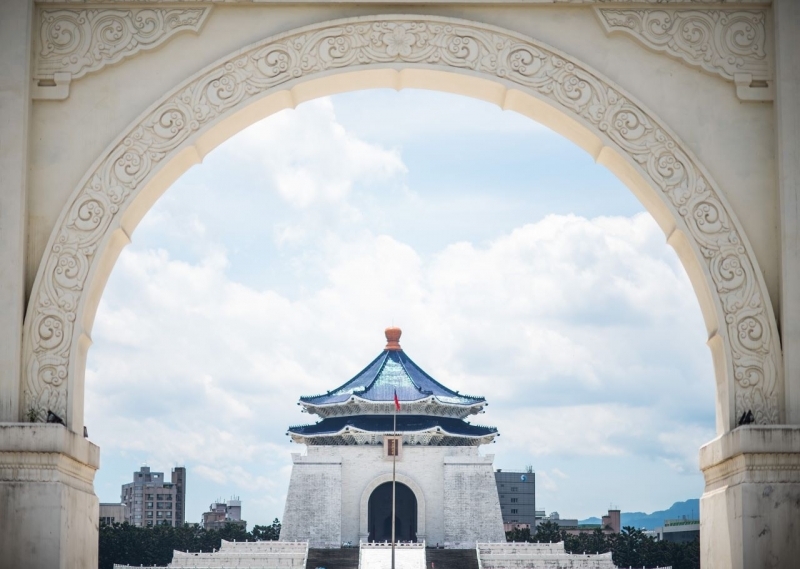 Beat the queues at most Taipei attractions and arrange foolproof day trips with KKday! With sightseeing passes to popular attractions and day tours to other scenic places in Taiwan such as Pingxi, Shifen and Jingtong, travel around Taiwan seamlessly with KKday! Enjoy 12% off selected travel experiences and activities in Taiwan when you check out using your HSBC Credit Card and use promo code HSBC12 on KKday! Despite the district’s historical past, many of the hotels in Zhongzheng district are designed with a modern aesthetic. 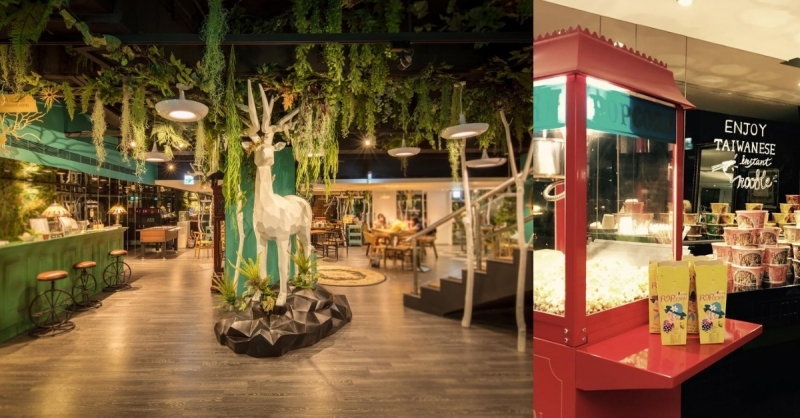 Check out the whimsical Finders Hotel, the adorably-decorated Click Hotel and ultra-chic Via Hotel Taipei Station. Packed with museums, you’ll definitely need several days to truly explore Zhongzheng district. You can retreat in one of the hotels for the night, and head out the next day eager explore more! Besides the famous Shilin Night Market, Shilin is also well-loved for its proximity to nature. 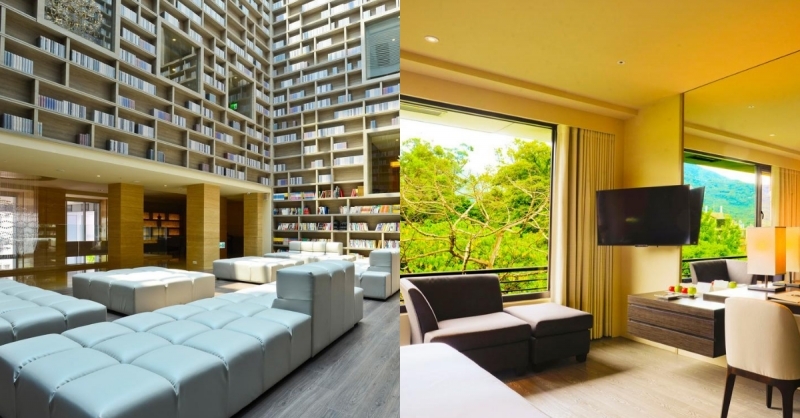 Located in the northern part of Taipei, it is conveniently located near the stunning Yangmingshan National Park. Other than the numerous hot springs and hiking trails in the park, the park is home to the Seven Star Mountain, Taiwan’s largest dormant volcano. Other natural sights of Shilin district includes the Menghuan Pond and Hushan Green. 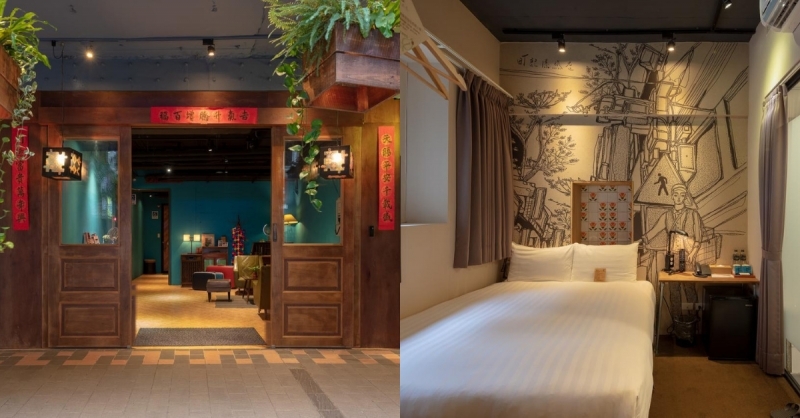 A standout hotel option in Shilin is the Yusense Hotel. 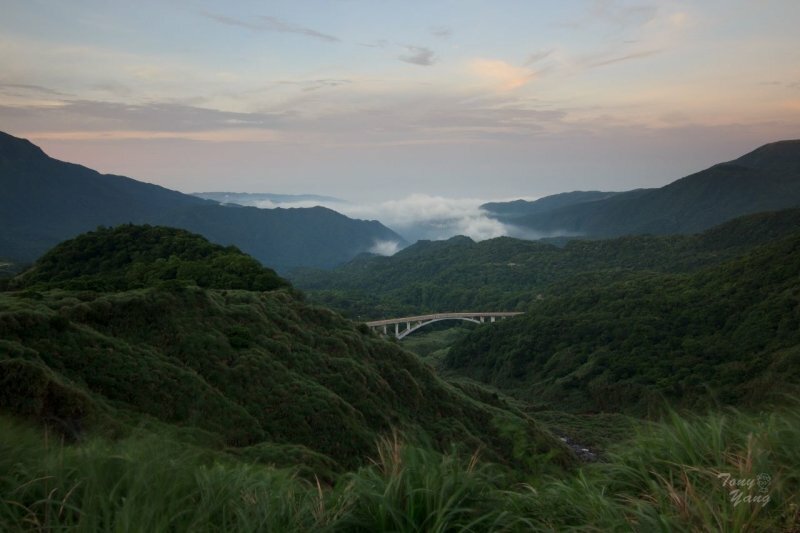 Most of its hotel rooms offer spectacular sweeping views of Yangmingshan National Park. If you want a calm and quiet environment that’s still close to the city, Papersun Hotel and Mellow Fields Hotel are some of the top choices. Both hotels are located a few kilometres from Shilin Night Market and Shilin Station. 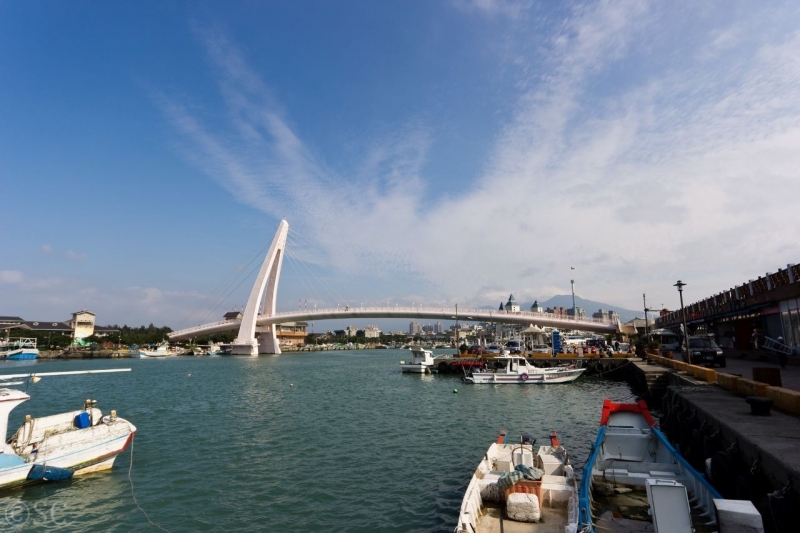 Nestled between the Taiwan Strait and the Tamsui River, Tamsui district is a picturesque town less traversed by tourists. You can take a leisurely stroll along Tamsui Old Street to experience a slower pace of life in Taipei. Or if you want to feel like you’re in a Taiwanese drama, cross the romantic Lover’s Bridge with your plus one. Other natural sites around Tamsui district includes Huweipaotai Park and Gongqi Nature Park. For the best views and excellent location to boot, it’s hard to beat the luxurious Fullon Hotel Tamsui Fishermen’s Wharf. The hotel is conveniently located near Lover’s Bridge and many rooms give customers sensational views of Mount Guanyin. If you’re not looking to splurge, the bright and cutely decorated Hotel Day Plus Tamsui is a great wallet-friendly alternative. 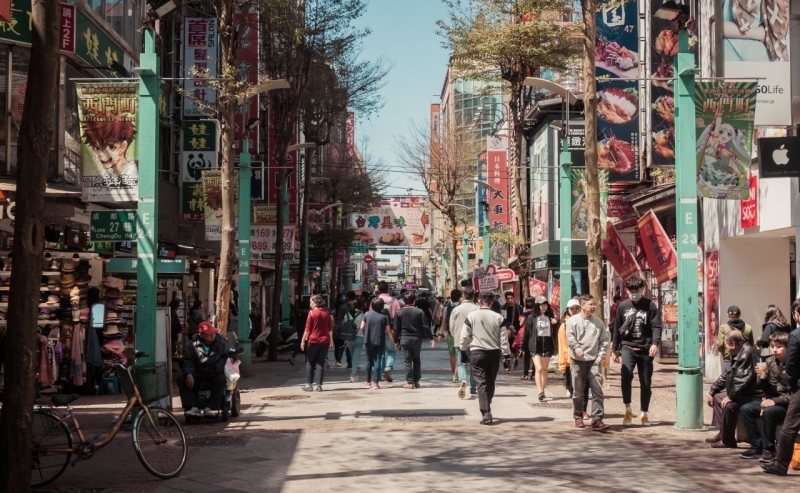 Besides being home to one of Taiwan’s famous Raohe Night Market, Songshan District is the up and coming hipster hangout district in Taipei. An increasing number of avant-garde galleries, chic cafes and bijou craft stores are attracting the trendy and hip from all over the globe. You can catch local performances at the Songshan Cultural and Creative Park, a gallery that was once a tobacco factory. As per every hipster’s food eatery of choice, some cute cafes you can check out are Beans & Beats, Fujin Tree 353 Cafe and Gabee Coffee. From the lobby to the rooms, the hipster in you will be delighted by the aesthetic decor at Hotel East Taipei. With a cool lighted drawer panel installation at the lobby and a plant wall in the bathroom, there’s plenty of reasons for you to spam your Instagram stories. 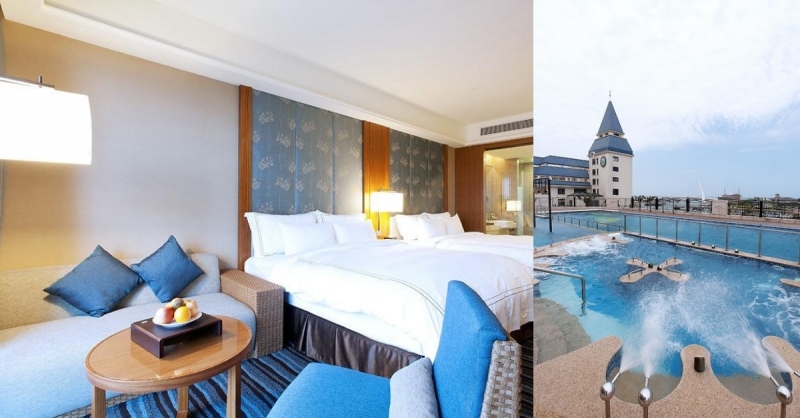 For an even more luxurious stay, opt for The Sherwood Taipei which boasts deep soaking bathtubs in all its rooms and has five restaurants in its premises. For families and the budget-conscious, Capital Hotel Songshan offers spacious family rooms and affordable double rooms. Ximending is where Taipei’s pop culture thrives. Located in the heart of Ximending, you have to drop by the iconic Red House, a centre of local arts and crafts. You can find stalls selling quality souvenirs and t-shirts with cute designs in the building. Ximending is well-known for being a cinema theatre centre for decades! You have to catch a movie at one of the many theatres lining Ximending Movie Theatre Street. Feeling lucky? Try your hand at winning some cute plushies at one of the many claw machine parlours dotted around the streets of Ximending. The vibrancy and liveliness of the streets in Ximending extends to the numerous boutique hotels in the district. These hipster hotels exude an effortlessly cool and trendy vibe. One of the more popular boutique hotels is Cho Hotel. The hotel is decor is reminiscent of a traditional Chinese shophouse and the murals in the rooms bring a lovely old-school charm. 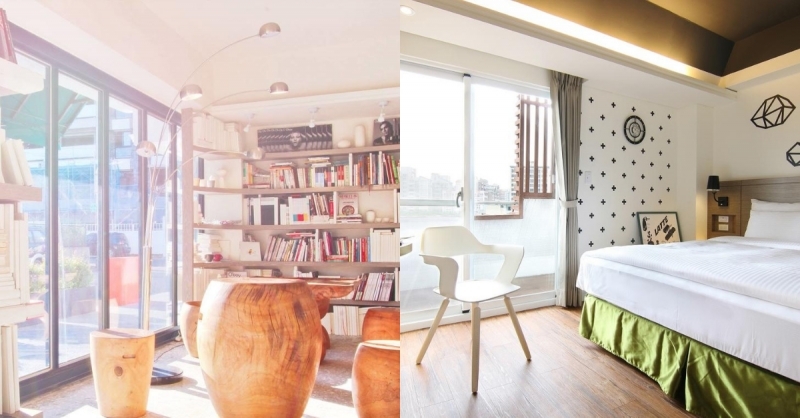 Other chic and minimalistic boutique hotels in the area are Art’otel Ximending Taipei and VIA Hotel. You’ll feel like you’re in an art exhibition, rather than a hotel! There’s no denying that eating is a national Taiwanese pastime. From restaurants to street food, there’s an abundance of food options in Taipei that’s enough to satisfy even the pickiest eaters among us! If you’re looking for new food and tried-and-tested old goodies, you’ve come to the right place. For the freshest seafood in Taipei, you have to dine at Addiction Aquatic Development. You might have noticed that the name doesn’t sound like a typical restaurant because the complex encompasses a fish market, sushi bar, and restaurant! If you’re more of a meat person, the Taiwanese beef noodles is a dish made for you. For the Muslim readers, you don’t have to worry about not being able to try this Taiwanese delicacy. Muslim Beef Noodles Restaurant serves up a Halal version of beef noodles that tastes as good as any other. Another Taiwanese dish you must eat when in Taiwan is dumplings! If the soup-filled xiao long bao is not for you, try the thicker-skinned version. Dragon Inn Dumpling House is known to be generous will their juicy, well-seasoned dumpling filling. To enjoy the dumplings the way the locals do, dip your plump dumplings into some soy dipping sauce and enjoy! We also love Peacock Bistro, which uses only fresh local ingredients. Some of their star dishes include the oyster fritter and sake infused fried chicken. 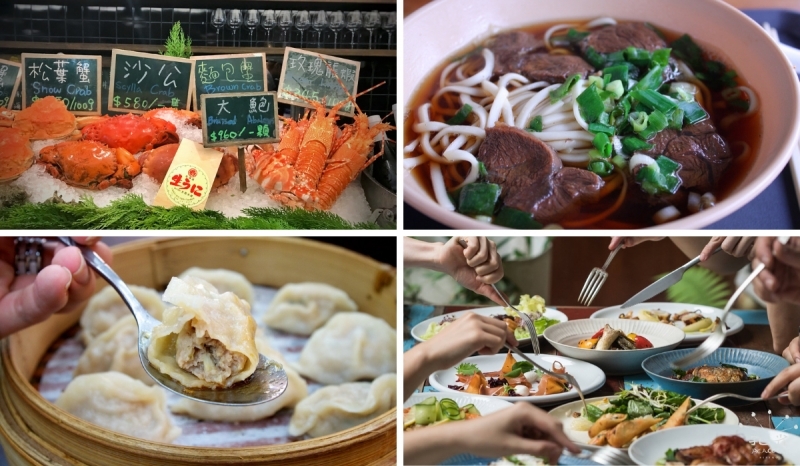 Some of the foods whipped up in Taipei’s famous night markets is so good that The Taipei Michelin Guide awards the Bib Gourmand to the street food stalls! Here are four newcomers to the 2019 awardee list you have to try. Found at Nanjichang Night Market, Sung Ching Taiwanese Burrito can be considered the healthiest street food in Taipei. The burrito is made by wrapping up ten fillings, such as bean sprouts, shredded carrots and fried pork, in popiah skin. If you don’t count calories on vacation, drop by A Kuo Lu Wei at Raohe Night Market. This stall is known for its wide range of marinated meats and beancurd. Speaking of beancurd, the infamous stinky tofu is another must-try Taiwanese street food staple. One stinky tofu stall that made the list is Tien Hsiang Stinky Tofu found at Linjiang Street Night Market. Their tofu is juicy and more aromatic (or should we say pungent?) than the others. Be sure to also try some sweet treats from Yu Pin Yuan Iced and Hot Tangyuan, also located at Linjiang Street Night Market. 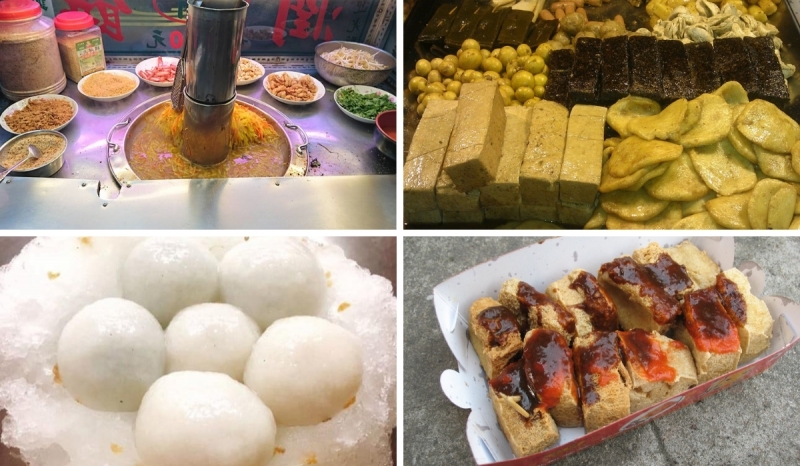 This stall serves up the traditional tangyuan (sweet glutinous rice dumplings) differently. The warm balls of goodness are topped on shaved ice! Since most Taiwanese have a sweet tooth, their dessert shops try to offer something different to stand out from the crowd. Here are four of the most unique dessert shops in Taipei. Being one of Taipei’s oldest ice cream shops, Snow King Ice Cream has crafted over 70 unique, and some downright weird, ice cream flavours! Don’t believe me? Some of their flavours include tomato, curry and even pork floss! 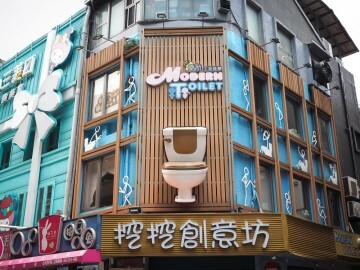 If you like anything weird, head down to Modern Toilet Restaurant to eat in the weirdest dining experience you will ever experience in your life. You get to eat your ice cream out of a toilet while sitting on covered toilet bowls! 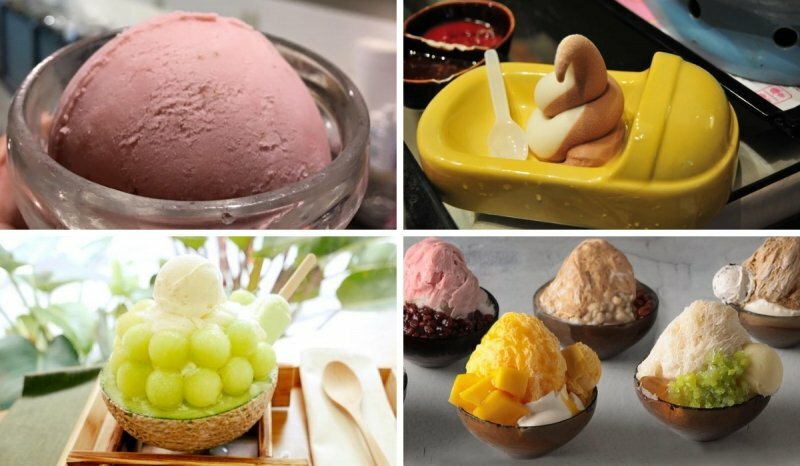 Arguably, the best and most popular Taiwanese dessert has got to be their shaved ice! For some of the best traditional shaved ice, Ice Monster is the place to go. Other than shaved ice, they also have traditional dessert soups and sorbets on the menu. If you want to sample some contemporary shaved ice, Caramel Park puts a modern twist on the traditional shaved ice. Their signature caramelized ice is topped with fresh balled fruits such as honeydew and watermelon. Being the birthplace of bubble tea, there’s no doubt that Taipei’s bubble tea are some of the best! 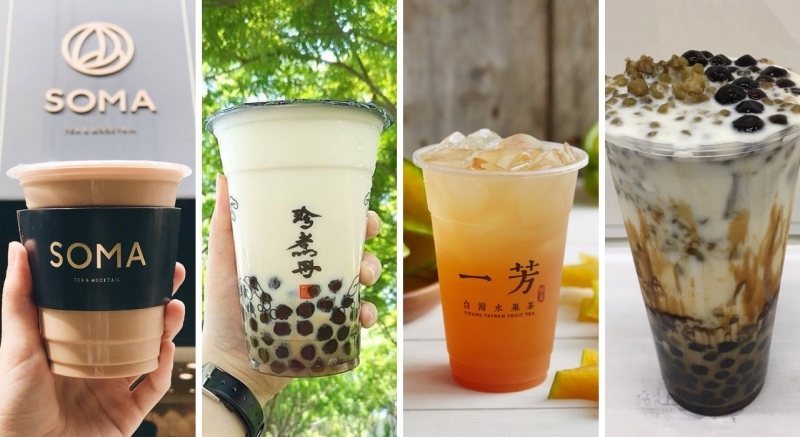 Besides the international Taiwanese bubble tea brands that you can find at home, here are some bubble tea shops that you simply have to check out when in Taipei. Soma Tea & Mocktail is one of the new kids on the bubble tea scene. Soma’s image is classier and also a bit more pricey than other bubble tea brands. However, judging from the rave reviews, Soma bubble tea seems to be worth every penny. Their fan favourites include White Almond Milk Tea and SOMA Essentia Milk Tea. For an option that’s easier on the wallet, you can try Jenjudan, a no-frills brand that delivers quality milk tea. Blended with rich milk and thick brown sugar, their milk teas are definitely on the more decadent side. Want a refreshing drink for a pick-me-up? Grab a cup of Passion Fruit Green Tea from Yi Fang Tea. Yi Fang Tea specialises in fruity and citrus teas, perfect when you want to switch things up and take a break from milk teas. If you’re a true foodie, you have to try WangTea Egg. Your milk tea will come with a tea egg, a Chinese delicacy where eggs are hard-boiled in tea! POST YOUR #INSTA-WORTHY FOOD SHOTS WHILE YOU’RE ON THE GO WITH AIRSIM! AirSIM offers you the only reusable prepaid data SIM card that works in OVER 100 countries. Instagram your pictures away without needing to worry about data access! From now till end December 2019, enjoy 12% off your AirSIM data service purchases when you check out using the code: “HS12 + the first 6 digits of your HSBC Credit Card”! If you like buying, seeing and learning about crafts, listen up! 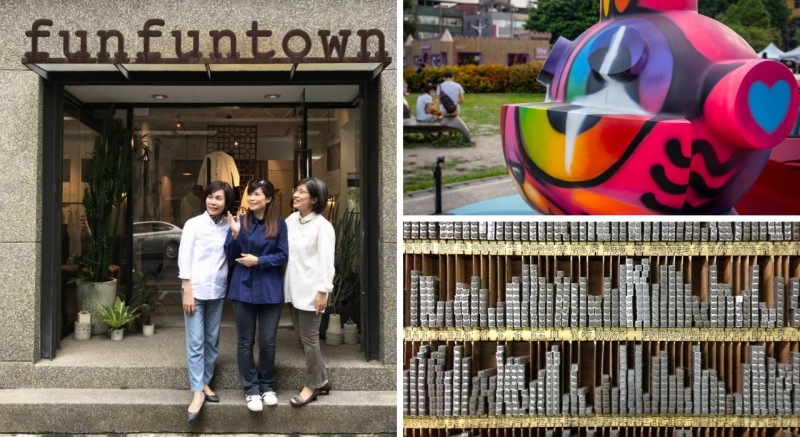 Head down to Funfuntown, a creative concept store that’s filled with items that are endearingly sourced by the owner from around the world. A plethora of gems and treasures are stocked in the store, some of which include old-school toys, handmade wooden bowls and even unique pieces of furniture. Then fuel up your inspiration tanks at Huashan 1914 Creative Park, an urban gallery. From chic cafes, street art, boutique shops and art galleries, you’ll never run out of creative ideas again! If you’re looking for something more traditional, visit the Rixing Type Foundry to find out more about the dying art of Chinese character mold manufacturing. Marvel at over 120,000 different molds, neatly stacked on little wooden shelves, that were once used to print newspapers in the past! Tea plays a big part in Chinese culture. If you want to witness an authentic tea ceremony and taste some of Taipei’s best teas, Wistaria Tea House will deliver the best to you. To further enhance this cultural experience, the ceremony takes place in a Japanese-style wooden building that was built in the 1920s. Craving for a snack after all that tea? Munch on some yummy fish balls at Tengfeng Fish Ball Museum. Fish balls have been a Taiwanese favourite for centuries. Besides eating this fishy treats, you can even make your own fish balls! While on vacation, nobody can deny a good massage. In Taipei, their massage tools of choice are butcher knives! It might sound dicey, but Ancient Knife Massages are actually not painful and, on the contrary, relaxing. These massaged help stimulate blood circulation and restores balance to the body. If you’re up for the challenge, don’t miss this kickass massage! If you’re on a lookout for unique photo spots for your next Instagram post, look no further. One cool place to check out is Graffiti Lane, also known as America Street. Similar to the famous Hosier Lane in Melbourne, this Taiwanese counterpart legally allows artists from all over the world to graffiti the walls. This results in an urban open-air art gallery where you can snap a shot for the ‘gram. 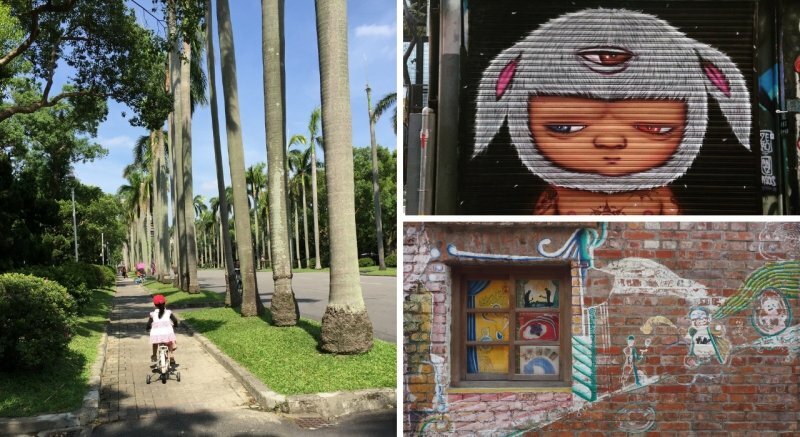 If graffiti is not up your alley, another place you can go to is the Bopiliao Historic Block. The cute and colourful murals on the red brick walls simply beckon you to take a selfie with it! 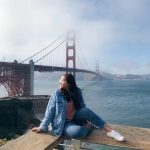 Want to trick your followers into thinking that you’re vacationing in Los Angeles? Snap a photo at Taipei University Boulevard, where there’s a road lined with palm trees which are quintessentially Californian! Other than the palm trees, you can also find cool photo spots around campus. Did you know you can chill in an entire village full of cats in Taipei? At the Houtong Cat Village, you can cuddle and pet hundreds of cats to your heart’s content! Multiple cat-themed shops and cafes are also popping up on the island for you to stop by and relax after playing with the playful cats. Enjoy Taipei’s great outdoors by going on a leisurely hike on Fairy Footprint trail. The trail is a few minutes away from the MRT station and a short hike on a wooded ridge rewards you with panoramic views of Taipei. Fairy Footprint is ideal for the chill hikers who still want to chase Taipei’s best views. 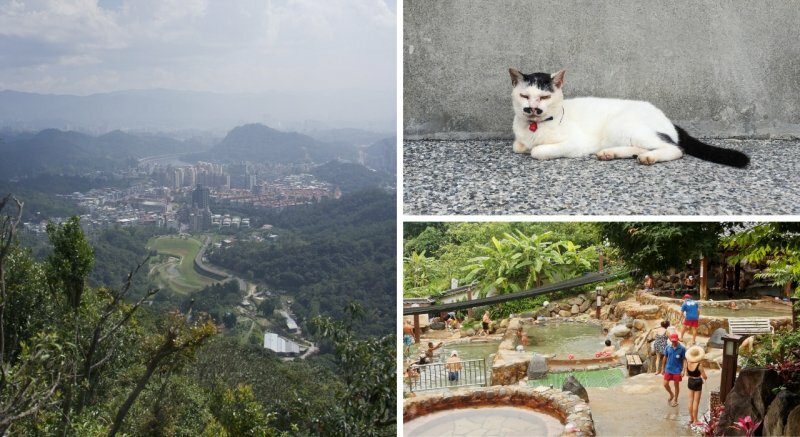 If you’re not a cat or hiking person but still want to melt all your stress away, the Beitou Hot Springs will do just that. Soak in one of the geothermal hot springs and feel yourself drifting into total relaxation. Ah, it doesn’t get any better than that. Want to explore other parts of beautiful Taiwan? You can opt to go for a day trips from Taipei to places such as Jiufen, Pingxi, Yehliu Geopark, Taroko Gorge and Sun Moon Lake. Whatever type of traveler you are, the energetic and spirited city of Taipei has something for everyone! 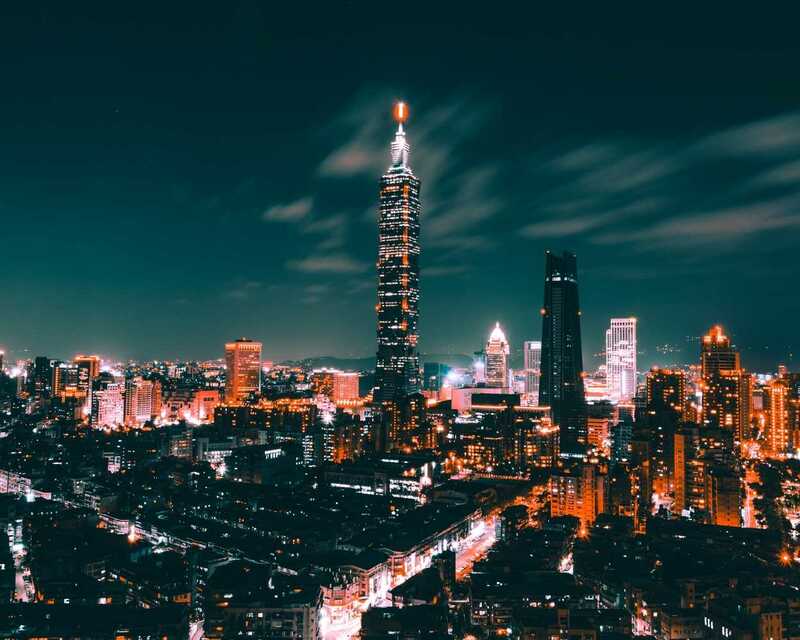 Will you be making a trip to Taipei in 2019? From flights to hotels and travel activities to necessities, use your HSBC Credit Cards to enjoy an array of incredible travel perks and promotions! Book your next dream vacation now with HSBC Credit Card! Don’t have an HSBC credit card yet? Sign up now and receive a Samsonite Astra 55cm Luggage worth S$350 or S$120 cashback*. Click here for more details! *This promotion is valid till 30 April 2019. Terms and conditions apply. SIGN UP FOR A HSBC CARD HERE! Brought to you by HSBC Credit Cards.